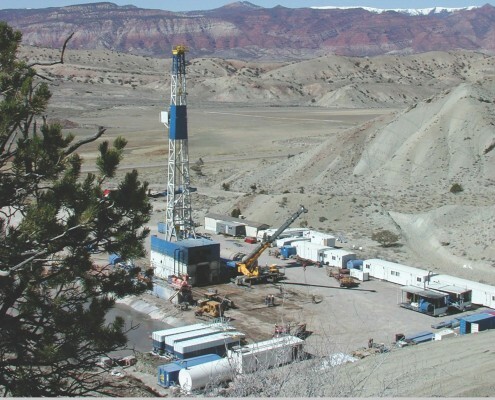 One of the benefits of Utah’s diverse geology is a wealth of petroleum resources. Three oil-producing provinces exist in Utah and adjacent parts of Wyoming, Colorado, and Arizona—the thrust belt, Paradox Basin, and Uinta Basin. Utah produces oil from eight major “plays” within these provinces. This 293-page bulletin describes concisely and in new detail each of these major oil plays. It provides “stand alone” play portfolios which include the following descriptions: (1) tectonic setting; (2) reservoir stratigraphy, thickness, and lithology; (3) type of oil traps; (4) rock properties; (5) oil and gas chemical and physical characteristics; (6) seal and source rocks including timing of generation and migration of oil; (7) exploration and production history; (8) case-study oil field evaluations; (9) reservoir outcrop analogs; (10) exploration potential and trends; and (11) maps of play and subplay areas. 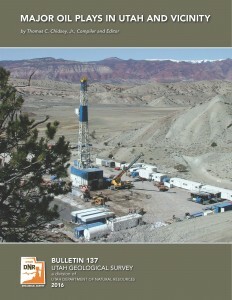 The bulletin will help petroleum companies determine exploration, land-acquisition, and field-development strategies; pipeline companies plan future facilities and pipeline routes; and assist with decisions and evaluations faced by landowners, bankers and investors, economists, utility companies, county planners, and numerous government resource management agencies. 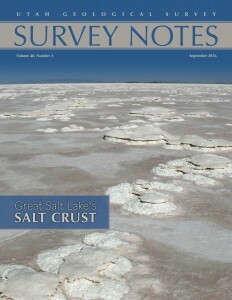 Our latest issue of Survey Notes is here! 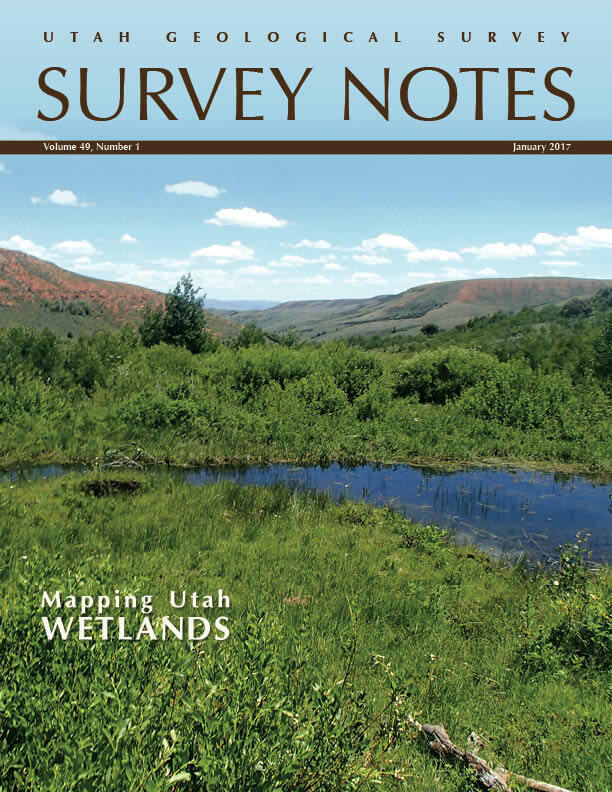 Find articles on mapping Utah wetlands & UGS’s role in contributing water-quality data to the National Ground-Water Monitoring Network, and more among our regular featured columns. 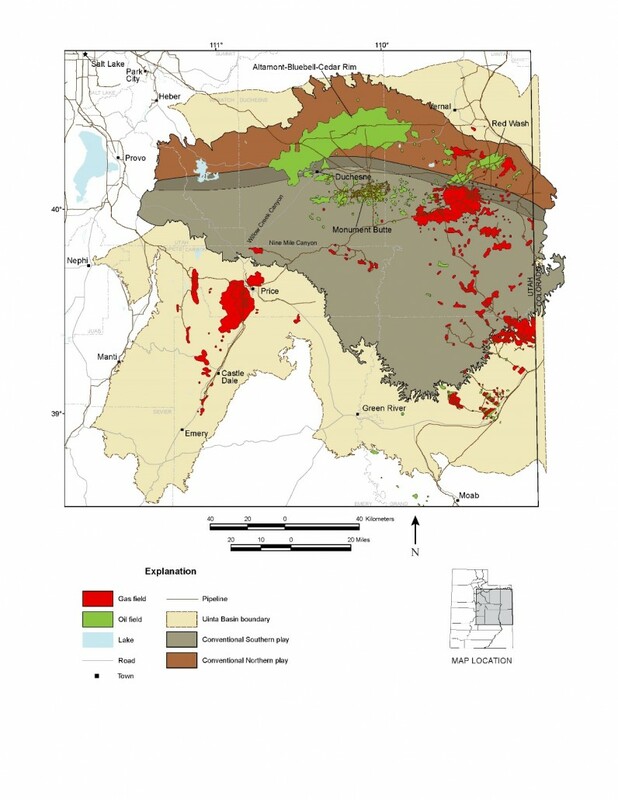 https://geology.utah.gov/wp-content/uploads/ugs-logo-large.png 0 0 Utah Geological Survey https://geology.utah.gov/wp-content/uploads/ugs-logo-large.png Utah Geological Survey2017-01-10 07:22:002017-01-10 07:22:00The latest issue of Survey Notes is here! 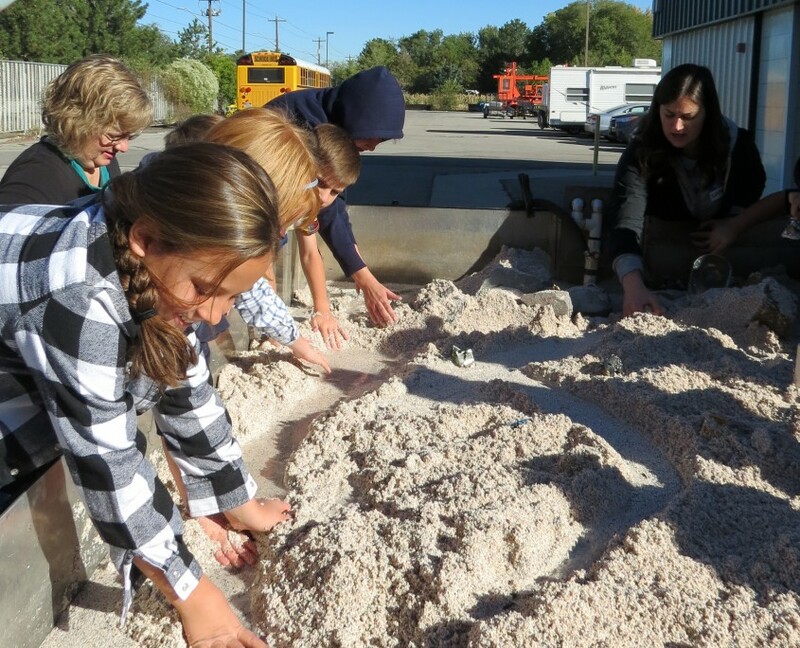 Earth Science Week is in full swing at the Utah Geological Survey this week. Our stream trailer allows students to create and destroy a river landscape while learning about deposition and erosion.